What types of service and maintenance do you like to regularly schedule for your Porsche? Do you like to schedule regular cleaning services? What about oil changes? Now, how often do you have the brakes checked? It’s time to start thinking about the benefits of a regular brake service. Although you may think that if your brakes are working well, it’s pointless; however, that is a misconception. You may be thinking that brake checks are not necessary. 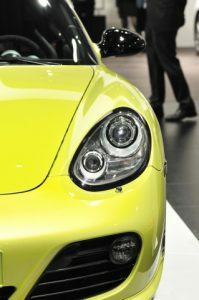 Better yet, you may be thinking that brake service isn’t needed until you need an entirely new brakes on your Porsche. Did you know that this is not the case? It doesn’t matter if your brakes are brand new, are almost ready to be replaced, or are begging for a replacement, regular brake checks are necessary no matter the condition. 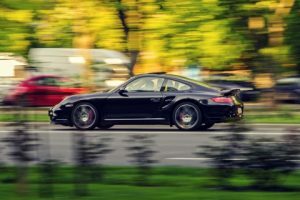 So, here are the advantages of scheduling regular brake checks with Denver’s finest Porsche repair technicians. Safety is key. If you want to stay safe while out on the road, having your Porsche’s brakes checked is a must. Every 12,000 miles. Why? Brakes may wear off more than you realize, or there could be a problem. Every 12,000 miles usually equates to one appointment with a brake specialist each year. The safety of yourself and the safety of your passengers matter, and the best way to keep them safe is by having your brakes checks for irregularities. If we’re being honest, nobody likes to spend money on repairs, big or small. Now is your chance to avoid doing so. By opting for yearly checkups on your Porsche’s brakes, you know that you won’t be spending any extra money on repairs that could have been preventable. Any repairs your brakes may need, won’t be a surprise, and they won’t be popping up out of nowhere if you have regular brake checks. Our Porsche repair specialists will keep you informed on the condition of your brakes, and when you may need a repair or replacement. There’s no doubt about it, if you care for something, anything, by giving it the proper maintenance it needs, it’ll live, last, longer than it would have. If you haven’t guessed it by now, brakes are prone to needing repairs more often than any other part found on your car. So if you leave all of the brake checks to the leading Porsche repair professionals in Denver, we suggest you reach out to us online now. Do you want the brakes on your Porsche to last you for years? If so, we highly recommend you give our incredible team a shout. We’re ready to tackle any repair or service your Porsche needs. Remember, we highly recommend that you schedule a brake check up every 12,000 miles, or once a year. If it’s that time of the year to schedule an appointment for a check up, please give our specialized technicians a call, or request an appointment to the right of the screen.